With each new release, specialty Blu-Ray label Twilight Time has done an excellent job of carving out a niche for itself, issuing limited releases of titles in high definition that studios wouldn't have otherwise bothered with. In some cases, it's easy to see why the studios saw no prospects for releasing the films on Blu-Ray, whether it's because of the quality of the film or the limited nature of their appeal. But in many cases, it's a great thing to see some of these films at last making their Blu-Ray debuts. This month, Twilight Time is releasing two such horror films just in time for Halloween; Audrey Rose and the 1988 remake of The Blob. 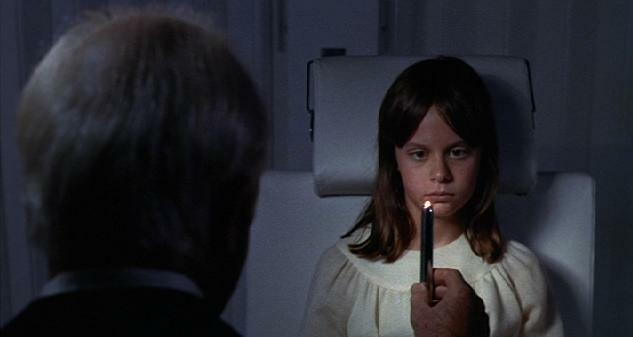 Directed by the incomparable Robert Wise, Audrey Rose (1977) came at a time when movies about demonic possession (and evil children) were all the rage. Rosemary's Baby, The Exorcist, and The Omen all preceded it, but Audrey Rose took that familiar formula and then brought something completely different to the table. 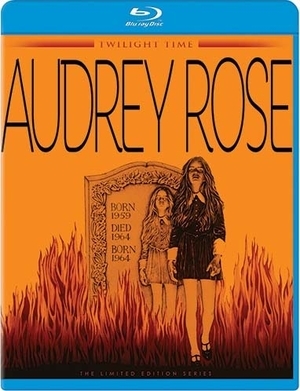 Less horror movie and more psychological thriller, Audrey Rose focuses on reincarnation rather than possession, and a troubled child rather than an evil one. Anthony Hopkins stars as a man who believed that a little girl named Ivy is actually the reincarnation of his daughter, Audrey Rose, who was killed in a fiery car crash minutes before Ivy's birth. Her parents are resistant, even frightened at first, but when Ivy begins having violent nightmare about being trapped in a burning car, her mother (Marsha Mason) begins to wonder if she may actually be someone else, and decides to do anything she can to get to the bottom of it. Elegantly directed and beautifully acted, Audrey Rose is a different kind of horror movie. Wise was a kind of directorial chameleon, able to adapt to any genre with ease. From musicals (The Sound of Music, West Side Story) to horror (The Haunting) to science fiction (The Day the Earth Stood Still, Star Trek: The Motion Picture), Wise conquered them all. Here, he harkens back to his directorial debut, The Curse of the Cat People, using psychological horror to explore the psyche of a troubled young girl. Wise shies away from the more supernatural elements of the story, especially in the film's gripping climax, keeping the film grounded even as it searches for answers to bigger questions to answers beyond our world. The Blob, on the other hand, is a completely different animal. 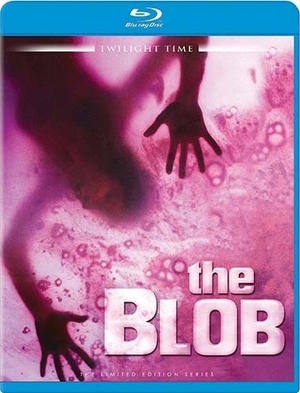 A remake of the 1958 sci-fi B-movie classic that launched the career of Steve McQueen, The Blob updated the story with bigger, gorier special effects and a darker tone. While I'm not one of those who contend that this Blob is stronger than the original Blob, it's still a surprisingly solid remake, especially considering it's about a giant glob of alien goo that eats people alive. This time, however, director Chuck Russell (who had recently breathed new life into the Nightmare on Elm Street series with A Nightmare on Elm Street 3: Dream Warriors) delves a little deeper into the origins of the monster, painting it as the product of a government experiment gone wrong. The effects are better, the deaths are gorier, but ultimately the film lack's the original's sincere charm. While the remake embraces its B-movie roots somewhat, it's also a darker film, and falters a bit when it goes for a big action climax. 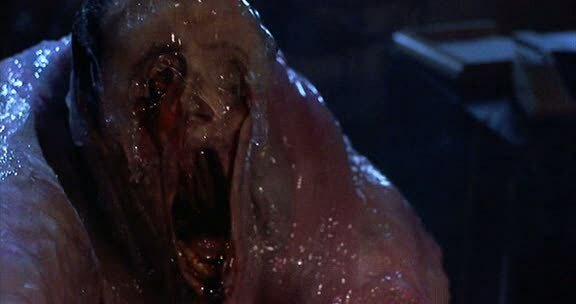 Basically, the Blob is a much more interesting character as a mindless killing machine than a sentient monster with tentacles that reach out to trap unsuspecting victims. The original is just more likable. You can't help but admire the remake, however. It makes the most out of its much larger budget and updates the concept well. It's one of the strongest horror remakes to come along, and Twilight Time's Blu-ray transfer is excellent. For fans of sci-fi horror, this is a must have, and it's clear that Twilight Time expected the popularity of this title, by expanding their limited run from the usual 3,000 to 5,000 units. As of press time, however, those copies are almost all sold out, so if you're thinking of picking this one up, don't wait. Twilight Time has really outdone themselves with their October output, and both of these discs come highly recommended.